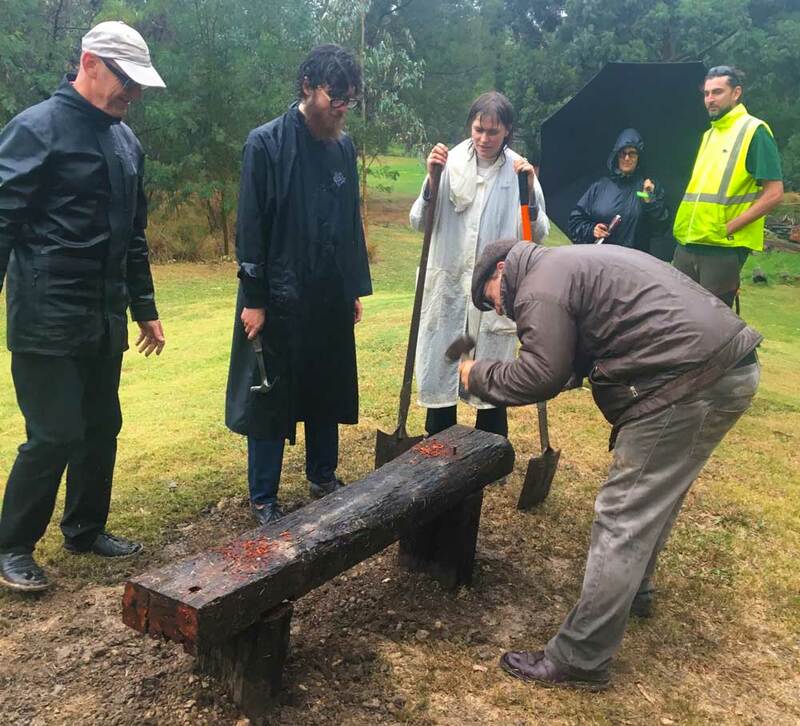 Thank you to those of you who braved the wild weather to install three small benches down on the Alphington Wetlands, in memory of Scarlet. Particularly Benedict Darby, Joe Darby for coordinating, assisted by Simon Spain, Georgia Rice Grain, Oscar Nicholas, Rowan White, Emilia Storm (for excellent umbrella holding)and a cameo appearance from Simeon Buckley. Thanks to Kate and Phil for permission.the sun came out as we finished. Lovely to see so many friends down the pub later to gather on what would have been Scarlet’s 27th birthday.